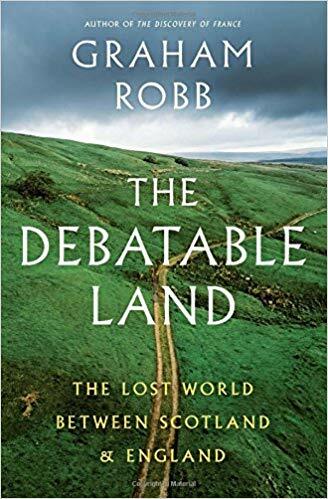 The Debatable Land: The Lost World Between Scotland and England by Graham Robb is a detailed and fascinating look at a little known border territory. Though it’s all but gone from maps and modern minds, the territory between Scotland and England was contested for centuries, and the site of all sorts of warfare, banditry and political scheming. The author, a renowned historian, just happened to move to the area and found his curiosity piqued by the legends of the “debatable land” (which doesn’t mean what it seems) and the dearth of facts about it, so he set out to explore the area and research the history. He is a strong writer with an interesting, deceptively ambling approach — it felt at first as if I was accompanying him on unfocused bike rides and rambles through the moors — that ultimately sharpened into a detailed excavation of the myths and historical figures that shaped the region. Along the way, we get to know better the “reivers,” the outlaw families that raided into both countries for some 400 years, including their oddly effective outlaw code that kept the bloodshed and animosity (and revenge killings) to a minimum. We also learn about the historic Arthur and the battles to free Britain from Roman influence. It’s a great read, rendered especially poignant by the backdrop of Scottish independence and Brexit occurring as he finished the book. Well-researched and well written, it’s an engaging history and a timely examination of what national borders mean, and how they shape us.